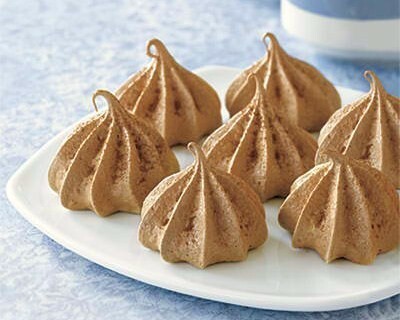 Star-shaped meringue cookies with rich chocolate flavor that are crisp on the outside and have soft and chewy texture inside. Ground walnuts add flavor and crunch. 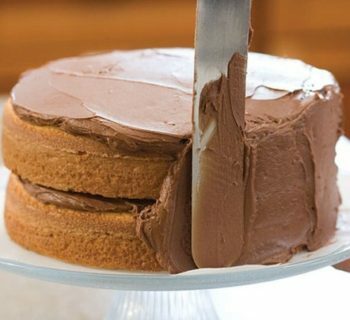 These easy-to-make desserts are a sure fire hit among kids and the young at heart. Here is an easy dessert recipe for Chocolate Meringue Cookies. Pre-heat oven to 275 degrees F. Prepare a cookie sheet by lining it with parchment paper. Using the medium speed of an electric mixer, beat egg whites and cream of tartar until foamy. 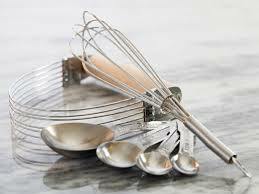 Gradually add in sugar, in very small amounts, while beating continously until stiff peaks are formed. Lightly fold in the cocoa, making sure to combine well without deflating the egg whites. Spoon chocolate meringue in a piping bag fitted with a #4 large star tip. Pipe 1 1/4-inch stars (or whatever shape you so desire) onto cookie sheet. Sprinkle meringue lightly with walnuts. Bake for 30-35 minutes or until outside is crisp and dry. Meringue cookies are done when they slide off the parchment paper easily. 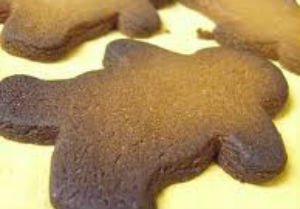 Cool for the cookies for 5 minutes, then place on wire rack. Store in airtight container to keep its crunch and freshness.